Yes, WHAT EXACTLY IS AN ONLINE COURSE? 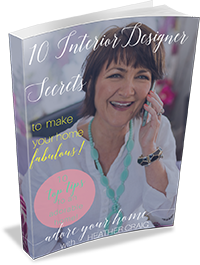 I’m a Home Stager – which means I help people get a better sales price when they want to move. I do the above with individual people, one person at a time. A few every month. But, I wanted to help more people get a far better price when they sell because I KNOW its absolutely possible! 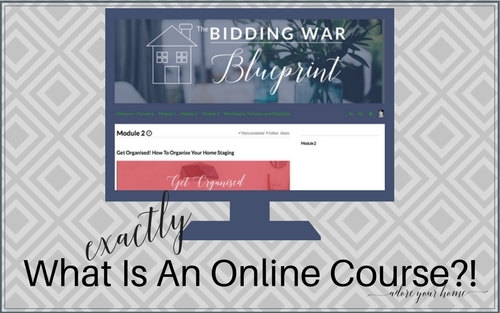 Sooo, I have created an online course which I absolutely love! And so will you. BUT WHAT IS AN ONLINE COURSE ANYWAY? It’s a brilliant new way learning things you really want know how to do. There are courses on how to do just about anything from decorating a cake to creating a wildflower garden to writing a book. You do it in your own time, in your own home, on the beach, wherever suits you! You typically watch videos and listen to the teacher on your laptop, iPad, tablet or phone, at your desk or on the sofa. At home, on holiday, during the day or night. Cuppa optional. An online course is brilliant. It’s a modern way for me to work with more people, at a cheaper cost to them. It’s also easy peasy for you. If you can click on Amazon, you can do an online course. No need to attend the local college 1 night a week. Just you, in a comfy chair, at home. I took everything I know about getting your house ready to sell. All the things I go through with people I work for and created little videos, classes, worksheets, before and after photos, and put them in the course, which you can access anytime (or download for taking with you). There are easy instructions on how to do the course in a video I made of me showing you around it. No big thick manual to read! Once you join, you’ll get a login to your secure area for instant access and it’s yours indefinitely. No-one else can see you or what you do. This is the kind of thing you’ll see, individual videos all about each topic. There is no homework, but the course is split into modules that you should more or less do in order, but you don’t have to. You can skip to the room you’re working on and get the help you need now, right now. 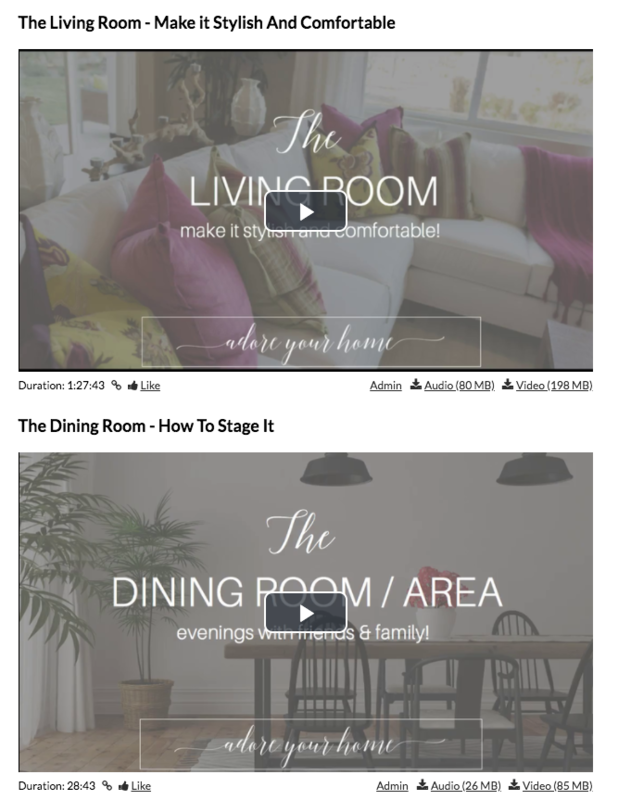 WHY DO AN ONLINE COURSE IN HOME STAGING? WHAT WILL HAPPEN WHEN YOU BUY? 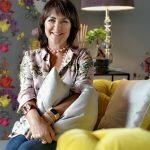 ‘How to choose the right paint colour when decorating’ – could be very useful in your new home as well! So, if all that sounds good, if you need to get the most money possible when you sell up, so you can move on to your dream home, click below to get more details and jump in!